Protect yourself from negative influences and energy! 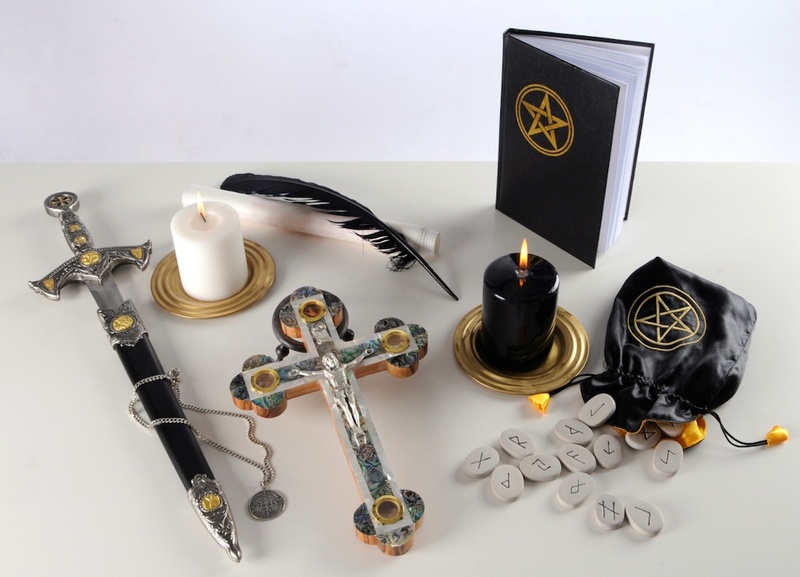 Protective magic, exorcism, spirit and black magic liberation are among our most important services. We free our clients from negative influences and create an energetic protective shield and personal protective amulets. Talk to us! There are many rituals and spells, which deal with protection against negative influences and energies. 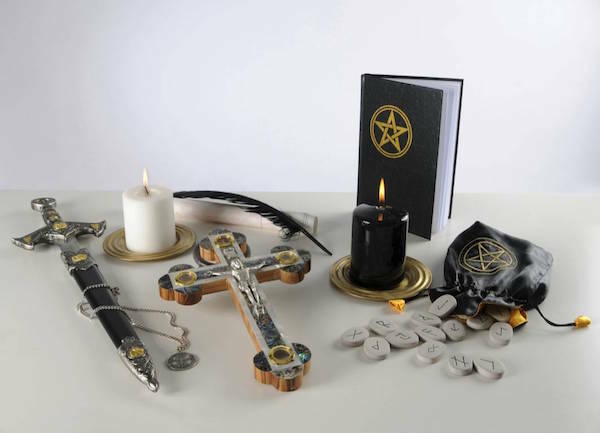 From our professional experience has the strongest effect ritual called Small Pentagram Ritual. It cleans the spiritual space around you and expels unwanted entites, which could possibly harm you. It deals with strong names of archangels and Hebrew names of God. Therefore it is necessary to do it with proper respect! The name of the original ritual is the Lesser Ritual of the Pentagram. It has been used and taught by the magical order Golden Dawn. It is still considered as a fundamental ritual of ceremonial magic. We found this ritual extremely useful for all people, who feel under magical attack, feel lots of negativity around or directly feel some kind of possession. This ritual is perfect for banishing negativity and purifying the spiritual space around performer. The original ritual can be found on internet. We write here our ritual in a way, how we use it, and it is different from original form. - cross your arms and say LE OLAM, AMEN (forever, Amen). While saying these words, imagine lines of strong white light in form of the cross (it goes from forehead to feet and from right to left shoulder). When you say Le Olam, Amen, visualise rose in the place where lines cross. 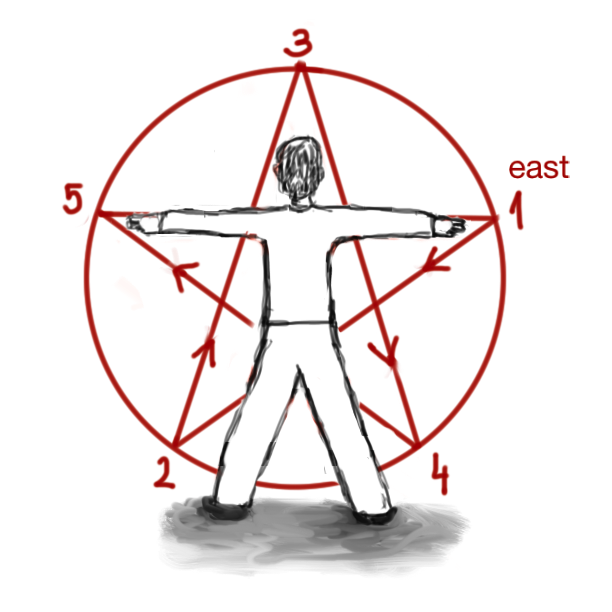 Face the east direction (see the picture) draw to the air the pentagram, follow the arrows. Begin and end in the point 1. Say: „Thank you, powers, for your coming.“ Visualize yellow light. 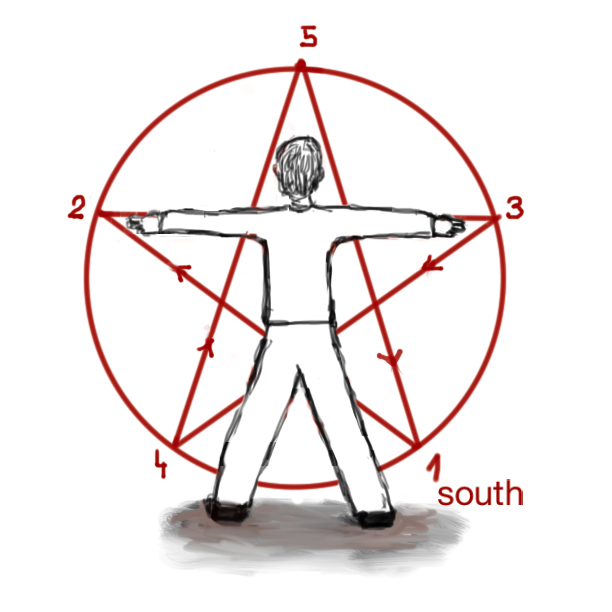 Face the south direction (see the picture) draw to the air the pentagram, follow the arrows. Begin and end in the point 1. Say: „Thank you, powers, for your coming.“ Visualize red light. 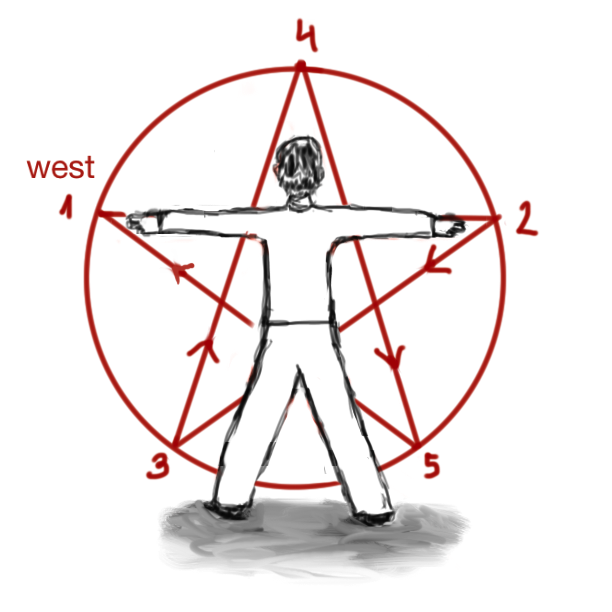 Face the west direction (see the picture) draw to the air the pentagram, follow the arrows. Begin and end in the point 1. Say: „Thank you, powers, for your coming.“ Visualize blue light. 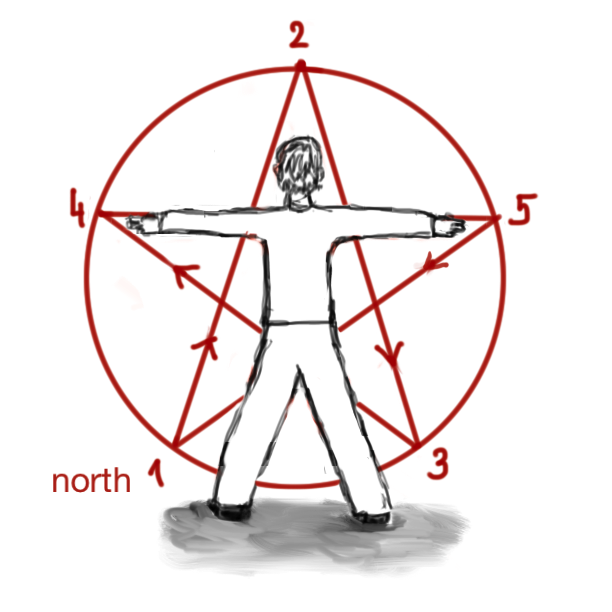 Face the north direction (see the picture) draw to the air the pentagram, follow the arrows. Begin and end in the point 1. Say: „Thank you, powers, for your coming.“ Visualize green light. Then, turn east again and draw above your head the Star of David. 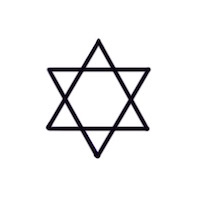 „EHEJE ASHER EHEJE“ (in hebrew) or „ÓM, SÓ HAM“ (in sanskrit). The meaning is: I AM WHO I AM. „ATA GIBOR LE OLAM ADONAY“ or „AGLA“ (in hebrew). The meaning is: God is Almighty. Do it three times and thank for energy. at my left side is Uriel. Around me, the four pentagrams are shining. Above me shines brightly the Star of David. If you do it properly, you would have afterwards the feeling of cleanness, purity and peace. Archangels are the messengers of God, who execute His will. JAHWE, ADONAY, ELOHIM and El SCHADDAI are the powerful God's names in hebrew. Another good spell that is also used by many Voodoonsi which is purely preventive. The magical barrier is used to ban negative magic effects from your own home or from a designated place. During the whole ceremony the caster recites the chant of Legba, which for beginners can be difficult. 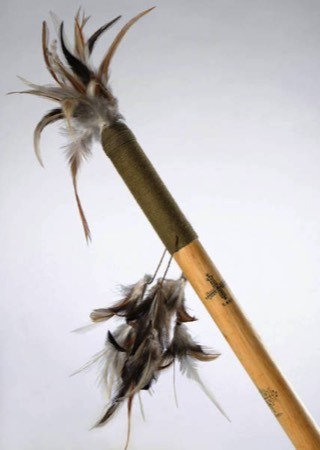 It always starts right inside the entrance of the home or of the locality, with a thin line of salt sprinkled on each opening of the home and then bashing the ritual knife three times against the left side in the middle of the opening. Then you move the knife in a horizontal motion to the right side of the opening, as if you would stretch a cord, and bash again three times against the right side of the entrance. Continue clockwise until you reached the entrance again. Draw a thin line of salt for a second time, and scratch symbolically a line, 45 degrees cross (ie in the form of X), and then an upright cross. If it is an open space without walls, you are forced to encircle the whole place with Zonka-Powder or Salt and pull the knife at chest height around the place. Here, the entrance is set arbitrarily, though mostly one direction is preferred. After that, the caster moves into the center of the home or the place, and calls Legba to protect this place from negative influences. In addition, the caster visualizes the procedure with spreading a blinding light from the ground along the walls. This spell is effective against almost all magical attacks of other persons, except if the attacker is in possession of a personal object. Likewise, it does not work if other beings are inside of it, as the magic acts like a cage. Nothing comes in, but nothing gets out as well. Thus, this spell can’t protect a place used for invocations, because, logically, entities are unable to enter this area without the power of a loa. Giving these examples, the great school of Voodoo is very complex. But why use such elaborate rituals, when you can achieve similar effects with other magical traditions? Quite simply, the magic and religion of Voodoo form an inseparable unit, and that gives Voodoo two unique characteristics: speed and incredible power. For this reason, the high school of Voodoo, a desirable discipline among the most coveted magical professions, can only be mastered by real Voodoonsi. Why? As I have said, faith plays a central role. And why should a Loa assist anyone who denies or doubts its existence? More about the protective magic, ghost liberation, black magic and exorcism deliverance. Do you feel as if someone has put a curseon you, your family or friends? Do you feel overwhelmed by negative forces and negative energy? We can help you get rid of these negative forces and black magic. Don't hesitate to contact us. We are here to help you. This ritual serves to ward off enemies or appeasement of strong negative powers. For the lamp, you need halve a pumpkin and keep the flesh. For the stand you should use three stones. Three crossed bone fragments hold the cotton wick. In the lamp you place some soil from a crossroads, some red paint pigment, dried and ground chili peppers and a small object, representing the enemy or the negative power. After this, the lamp is filled with lamp oil. The lamp is dedicated to Agwe, and kept burning as long as possible. Users are warned that Agwe is unforgiving if you bother him with – in his opinion - trivial issues, since he is a very proud Loa. In this case, the effect of the lamp quickly turns into the opposite..
To cut the link with your past, which influences your present life in a negative way. There are some experiences in our life, which are still haunting us and therefore could be for us harmful, could influence our life in a negative way. It could be for example memory of bad relationship, unhappy childhood, trauma from some life situation or some accident. This spell has two levels: magical (we influence energy flow, we cut our links with the past and it cannot reach us anymore) and therapeutic (we define our problem, accept it and let it go). If you like Tarot, you can use the card Death as a symbol for your ritual. It will symbolise the end of your suffering. Death must come first in order to start again, this “death” will clear a new path for you. Dark moon (or dead moon), best day is Saturday, but any other day is also ok.
- write a list of past experiences you would like to break with. Best time to do it is one day after dark moon. You will work then every day, that means 28 days, with your list. This will accumulate enough power for the final ritual. - you don’t have to really feel it first, most probably you will feel resistance to do it. But do it, just mechanically. Think about relief which will be your reward! - do it till the day of the dark moon. Then, you will perform the ritual and after the ritual you will burn your list and put ashes to the flowing water. 2. Light the charcoal disc and the candle. Say: “ Where was a darkness, there is now the light”. 3. Put the incense onto the charcoal. Relax and feel how the smoke purifies the atmosphere. 4. Tie a knot on the left side of the cord- it represents your past. Tie another knot on the right side of the cord. It represents your future free from experiences of the past. 5. Ask higher power of light and love to come and assist you. 6. There are two options, how to cut the connection between past and future. First one is to hold “past” in your left hand, “future” in your right hand and let the flame to burn through the cord. Another option is to cut the connection between past and future with the scissors. Choose, what “feels” better for you. 7. After that, put the past knot together with the paper (your list) into the fireproof dish and let it burn entirely. 8. Sit, relax, meditate. Pray to the Higher power. Thank this Power for help. 9. End the ritual. Then, go to the nature and put the ashes into the flowing water. Or go to the hill and let the wind to take it away.